What does Brexit mean for International Law Firms? Crasner Consulting takes an in depth look at the effect of the single biggest political event in recent British history on the development of International law firms. While law firms will more than likely benefit from Brexit in the short term (particularly in corporate and crisis advisory), their long-term practice growth is unclear. In the build up to the Referendum alone, investments were pulled and deals were called off leading to an M&A market that was down by 65% from last year1. As of now, City law firms have triggered contingency plans due to a surge in client demand, with Simmons & Simmons LLP, Clifford Chance LLP and Dechert LLP setting up 24hour hotline services for their clients. While public debate continues on all fronts – with newspapers and magazines often concurrently publishing contradicting speculation pieces about the future of the UK – law firms need to adopt a clear strategy going forth, or they take the risk of losing influence on the global playing field. The market dominance of UK headquartered law firms such as Allen & Overy LLP, Freshfields LLP, Eversheds LLP and Clyde & Co LLP cannot be overstated. These firms all have large operations across the EU and consistently rank in the upper echelons of their practice areas in these jurisdictions. The European market exists as a fundamental part of their business models. In order to stay ahead of the curve, and indeed away from media hysteria, law firm leaders need to seriously consider the legal structure of their firms and whether being headquartered in London is a strategically viable decision. In lieu of the uncertainty regarding the access to the single market – indeed Brexit comes in 57 varieties of ranging extremities – and the potential barrier of access to the single market, law firms should start setting the necessary foundations to relocate their headquarters and a substantial part of their practice, to the Continent. London has been the legal and financial heart of the European Union, offering unfettered access to trade in the European Market without the restrictions that are faced outside of the EU (the concept of ‘passporting’). This unsolicited access to the free market – along with a stable legal system, an attractive tax regime and English as the dominant language – has been the main driving force in London becoming the legal capital of the world. Law firms, as fundamental reactionary institutions, are driven by their client demands. In fact, in the past few weeks alone, a host of international law firms have opened up shop in territories as a result of their clients. Examples include Goodwin Procter LLP announcing a new office in Paris and Gibson Dunn LLP launching an office in Frankfurt. In light of this, comparisons of the post-Brexit legal market may be drawn from Deutsche Bank CEO, John Cryan, and JP Morgan Chase CEO, Jamie Dimon, who both agree that it would be ‘odd’ for big banks to trade in EU sovereign debt from an office outside of the EU. Comparatively, it would be counter-intuitive for law firms to continue to practice predominantly EU law in country that is not part of the EU. As such, where clients are driven out of the single market and law firms are no longer able to service their demands in new jurisdictions, international firms will suffer at the hand of their local competitors. Another, very serious, fear is that UK lawyers may lose access to European courts, the right to practice local law and the ability to easily requalify in a new jurisdiction. While English courts and arbitration tribunals will remain stable institutions of the law, the range of corporate, high-level work that will voluntarily flow into London will more than likely be massively decreased. The effect of this has already been foreseen with 186 UK lawyers having registered in Ireland – a massive increase from the 101 UK lawyers that were admitted in 2015. Lawyers from Freshfields, Slaughter & May, Clifford Chance, Allen & Overy, Hogan Lovells LLP and Berwin Leighton Paisner LLP have all rushed their lawyers to be admitted in the Irish capital. A secondary, yet very real threat for law firms staying in London and not moving their headquarters into a newly reformed EU, is that US firms may shift their investment strategies to Europe. With the weaker Sterling and stronger Dollar, US firms’ buying power is increased making it easier for them to expand. Hedging in this manner becomes complicated, but it is not outside the realm of possibility that London headquartered firms could be in for US takeovers. The question of governing law in commercial contracts is a secondary critical issue that has been raised that law firm management need to be conscious of. To date, the law of England and Wales has been the leading governing law in commercial contracts. Would Britain leaving the EU signal a change in this dominance? It is, as with many questions posed about post-Brexit life, unclear. Allen & Overy and Freshfields, for example, have taken the stance that since English contract law is largely unaffected by EU laws and regulations, it will continue to be a beacon of legal certainty, stability and predictability and thus keep hold of its position as the world’s most popular governing law2. However, in discussing the impact of Brexit on contract, Barrister Andrew Sheftel from Norton Rose Fulbright explains that, post- Brexit, the content of a contractual provision stipulating ‘English law’ as the governing law will no longer mean English law including applicable EU law3. This may, conceivably, lead to a different outcome that the parties foresaw at the time of contracting. Worst case scenario? In the absence of a substantial piece of EU law, the contract may be impossible to perform. In addition, where territorial provisions are included, it is conceivable that a number of contracts will have to be revisited and the ‘EU’ be defined – with or without Great Britain. At the end of the day, law firms staying in the UK risk losing their international influence. Moving law firms’ headquarters out of the UK would mean security amidst indefinable years of economic, financial and legal uncertainty. As such, international law firms should look to launch firms in Europe immediately, or risk the chance of losing their international influence all-together. The Great Escape – Where to? The general feeling amongst most commentators is that there are three main cities that could viably compete to be the next legal and financial hub of Europe. The three are, quite unsurprisingly, Paris, Frankfurt and, quite surprisingly, Dublin. Despite their high personal taxation and strict labour laws (including France’s 35hour work week), these cities have been declared by numerous business leaders, bank heads and prominent stakeholders as the natural choices for sector relocation. The banks of the Seine have long been an attractive alternative to the grey waters of the Thames. 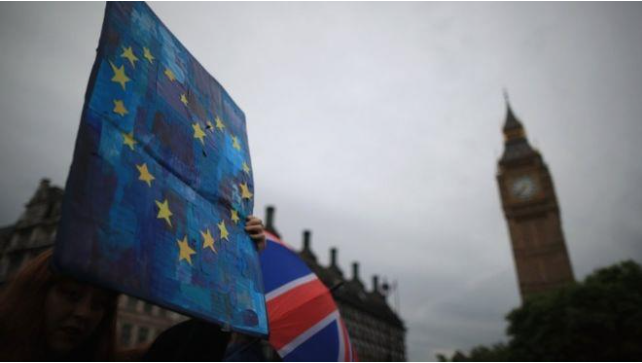 In the past few days, a number of business leaders, including Societe Generale SA’s CEO Frederic Oudea has stressed that Brexit may provide renewed opportunities to advance financial activities in the French capital. In addition, HSBC has consistently held that the bank would have to move around 1000 investment bankers to Paris, due to their work in MiFID II. Paris’s proximate location, enviable culture and all-ready established corporate infrastructure contribute heavily to its appeal. As such, The French Banking Federation has declared that Paris would not be the first choice for the financial sector to relocate to. With more than a million square feet of vacant office space, the German financial capital offers location advantages that other European cities simply do not have4. Frankfurt is home to the European Central Bank, Deutsche Bank and the stock exchange, operated by Deutsche Boerse AG. There have been talks that there is a potential for up to 10 000 financial positions to be relocated to Frankfurt in the next five years. Dublin already houses low-cost centres and back end offices for major law firms and banks, with the Irish government actively courting firms to open up shop there for the past few years. The Credit Suisse Group announced in December that it would make Dublin its primary location to service European Hedge funds. A low corporate tax framework, a familiar legal system, relatively simple rules for High Court admission, a booming tech industry and English as the national language are all features that make the Irish capital greatly attractive to international firms. In addition, Morgan Stanley President, Colm Kelleher, has said that his firm could make its European headquarters in Dublin if a Brexit occurs. The only certainty at this point, is that there is no certainty. While the announcement of a Brexit caused many to speculate about the dark abyss that London would be sucked into, many big corporations have yet to declare whether they will, in fact, relocated their operations to Europe. However, in light of market scepticism and uncertainty, UK law firms will need to start implementing contingency plans that include the possibility of relocating a bulk of their practice areas to Europe.